As Doctor Sally begins, we meet Sir Hugo Drake, a nerve specialist and keen golfer who is impressed by the sight of a golf ball in flight that plops superbly upon the green of the devilish eighteenth hole. I say impressed. 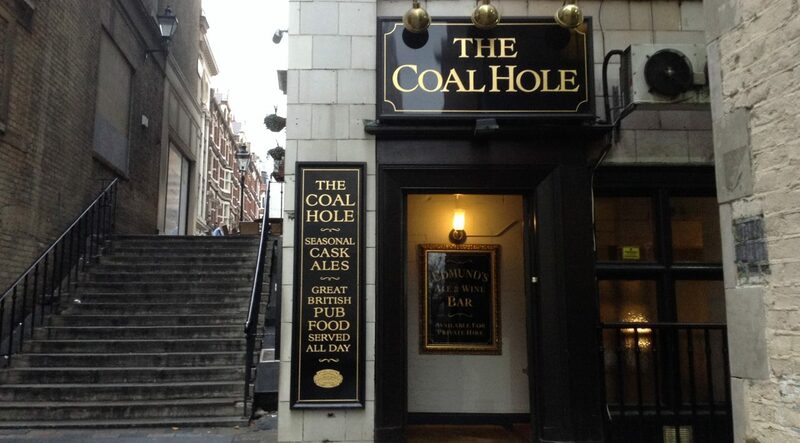 What Wodehouse says is: ‘The stout man congealed like one who has seen a vision.’ Sir Hugo toddles off in admiration to find the golfer responsible, to congratulate him on a magnificent shot. It was not the pro. It was not a man at all. It was a girl – and a small girl, at that. That she was also extremely pretty seemed of slight importance to Sir Hugo. He was not a man who paid much attention to women’s looks. What mattered to him was that he stood in the presence of a female who could handle a mashie like that. Upon introduction, he also discovers that Sally is a Doctor. ‘Good God!’ exclaimed Sir Hugo again. The suspicion of a shadow passed over the girl’s face. She was always meeting men who exclaimed ‘Good God!’ or it’s equivalent, when informed of her profession, and she disliked it. It seemed to her that they said it in the voice a small boy would use on being introduced to a circus freak. The male mind did not appear to be able to grasp immediately the fact that a woman doctor need not of necessity be a gargoyle with steel-rimmed spectacles and a washleather complexion. Re-reading Doctor Sally, I was reminded of criticism levelled against P.G. Wodehouse for his supposed misogynist portrayal of women, discussed previously in ‘The Case for the Defence.’ Wodehouse also seems to have developed (incorrectly) a reputation as a writer enjoyed by more men than women. Some Wodehouse fans argue he should be excused any misogyny on account of the era in which he wrote. This defence irks me because I find nothing misogynistic in his treatment of women at all. Among the cast of Wodehouse males we find a range of attitudes toward women. Some of these are outdated or unchivalrous, but these characters exist to be ridiculed, not admired. And they always compare unfavourably to Wodehouse’s heroines. Wodehouse also offers us more passionate, broad-minded chaps who love women and marry them often. In Doctor Sally, we meet Lord Tidmouth, a pleasant fellow who is attracted to fiery women. Lord Tidmouth liked peace and quiet. Women, in his experience, militated against an atmosphere of quiet peace. Look at his second wife, for instance. For the matter of that, look at his third and fourth. Wodehouse sometimes employed paternal behaviour toward women (needing a father’s permission to marry, for example) in his plots as obstacles for his heroes and heroines to overcome along the path to romantic happiness. They ought not be considered evidence of Wodehouse’s own attitudes. As I’ve argued here before, Wodehouse offers more to the female reader than many male authors of his era. When Doctor Sally was published in novel format in 1932, women in the United Kingdom had been entitled to vote for just 4 years. The novel was closely based on Wodehouse’s earlier play Good Morning, Bill! which ran for 136 performances at The Duke of York’s Theatre (London) in 1927, the year before full voting rights were extended to women. 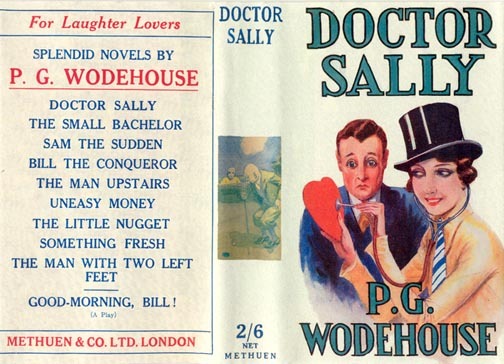 Wodehouse’s Dr Sally Smith is an independent, professional woman. There is no mention of a stern father or inherited wealth. She isn’t enticed by Bill Bannister’s marriage proposal, though he is a handsome and pleasant. Sally enjoys her work as a doctor, is a first-rate golfer, and breezes through the novel with attractive confidence. There is none of that sappy Bridget Jones-style pining for male attention that has so infected modern literature that it has been quarantined as a separate genre (chick-lit). It seems some modern female writers are not quite so endowed with feminist principles as Wodehouse’s women. 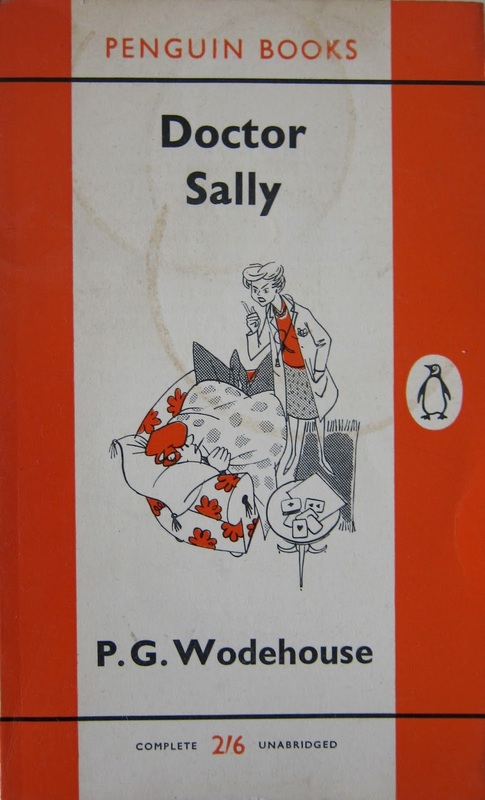 My only quibble – and it is a minor one – is that Wodehouse made Dr Sally Smith so attractive. It’s rather hard on us lady gargoyles to find so few role models within the pages of romantic fiction. But Wodehouse is hardly the only writer to create a beautiful leading-lady, and in the course of his long writing career, he offered us a smorgasbord of romantic heroines with varying degrees of outward beauty. In Wodehouse’s world, beauty is in the eye of the beholder. Sally’s pleasing outer crust is of no importance to her future Uncle-in-law, Sir Hugo Drake. Nor is her social status. He is won over by her personal merits and accomplishments. He toddled off, rejoicing, to his breakfast. And so too, shall I. The play Good Morning, Bill! has been published in the collection: Wodehouse: Four Plays. For more on Wodehouse’s theatre career, grab a copy of The Theatre of P.G. Wodehouse by David A. Jasen. And if you’re not familiar with Wodehouse’s autobiographical account of his time as a Broadway lyricist, you should correct this omission at the earliest opportunity by reading Bring on the Girls! written with Guy Bolton. You can read more posts on this subject by selecting ‘Wodehouse’s Women’ from the Categories menu on the right hand side of this page. And for more on Doctor Sally, try this little piece from the critic ‘Bully‘. Lovely piece Honoria! I do like the way you write about Wodehouse – clear, informative and passionate. Thanks so much ‘Zanyzigzag’. That’s one of the kindest things anyone has ever said to me. I’m working on a fun one next. Your posts on P G Wodehouse are so very lucid. These offer a fresh perspective on his multi-dimensional personality. May I reblog this one? Has Wodehouse portrayed women as being independent and professional? Here is yet another scintillating post from Plumtopia!